For quite some time now, the serious student of Yahweh’s sacred calendar has recognized that there is a lack of knowledge and understanding regarding the scriptural concept of the Sabbath and Jubilee Years. It seems that, for many, this subject is irrelevant for us today. We at the Yahu Ranger Report would have to strongly disagree with those adhering to this “Irrelevant” attitude. In Part 1 and Part 2 of our quest for the location of the Scriptural International Dateline (SIDL) the stage has been set for the final conclusion. In Part 3 we will now put all the evidence together to discover not only the location of the SIDL but also if the observance of the Sabbath day in the Hawaiian Islands is affected. Helpful hint: If you are reading this on Thursday afternoon while sunning yourself on the beach in Waikiki you just might want to order your last Mai Tai and close out the tab before sundown. Several modern translations of the MT (Masoretic Text) also express the meaning. Why a Statute Associated With Water? Light and darkness pass over the landscape every day. Why, then, does this verse consider it something that occurs “as far as,” i.e., away from Israel, and connects it with water? As the New International Version clarifies, the ordinance that marks out the horizon on the face of the water is connected with the boundary between the light of daytime and the darkness of night. It, therefore, represents the stationary boundary between one date and the next. In Scriptures, a new day begins with sunset. Also, the sun is constantly setting as the earth turns. With sunset the calculation from one day to the next is always moving across the landmass and oceans. Yet, the boundary between daylight and darkness in this passage from Job is a demarcation point between one day and the next across the horizon of the waters. 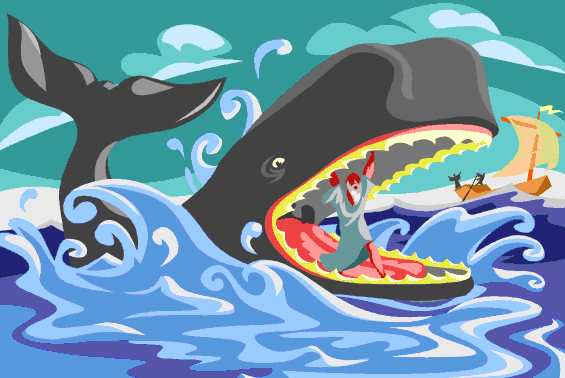 Therefore, the terms “statute” combined with “as far as the boundary between” and “upon the face of the waters” indicates something special that is only connected with the face of the waters. It cannot merely mean the completion of a day, which occurs everywhere the sun is seen setting, but the completion or ending point in a legal sense of the Scriptural International Dateline. Furthermore, this verse indicates that the legal dateline is connected with the face of the waters and not with any landmass. These comments mean that the moadim (appointed times) are calculated from Mount Zion and the throne of Yahweh in Jerusalem, all being located within the land of Israel. The “part of” rule precludes the Promised Land (or any land, for that matter) from being divided by an International Dateline running through its midst (for the “part of” rule, see pp. 6-7 of “Rules for the New Moon”). Yet, it would indicate that Zion is the Scriptural Prime Meridian (center of the day). In fact, we know that Israelites, such as Daniel and those living in Babylonia who lived in the lands well to the east of Jerusalem, calculated their days the same as at Jerusalem but started their Sabbath at sunset a half an hour or more prior to its beginning in Jerusalem, which also started at sunset. If Israel is the center, then it is also implied that the Scriptural International Dateline is on the opposite side of the earth (the beginning/end of the day) and is connected with the water. Key is the fact that the date changes not along an arbitrary longitude but with the line of sunset as it extends along the surface of the earth. Next, notice that in the above verse from Job 26:10, that light is mentioned before darkness, i.e., “as far as the boundary between light beside darkness.” This brings us to our next three important scriptural statements. Why limit Yahweh’s realm only from the place of sunrise to the place of sunset, i.e., only during the daytime, and avoiding the night? A legal sense is given these verses by their use of the words “called” and “blessed.” In addition, scripturally, Yahweh is the deity ruling the light, while the evil one rules the darkness. Yahweh blesses and calls the righteous to stand within his light, but darkness (the first half of the day) rules first, then comes the light of day. The symbolism, as a result, is manifest. With sunset and darkness, a new day begins, first governed by the evil one. Yet with sunrise and daytime comes the enlightenment of Yahweh, who governs the children of light. Observe that when this concept is expressed in this fashion, the calling and blessing of Yahweh extends only from the place of the sun’s rising to the place of the sun’s setting. Next, Zion is the point of calculation for a legal day but cannot represent the Scriptural International Dateline due to the “part of” rule. Accordingly, Mt. Zion must be the Scriptural Prime Meridian (i.e., the center of nations, of the earth, and of the day), the meridian at zero degree longitude from which east and west are reckoned. At the same time, the setting of the sun determines the beginning of a new day. Yet, when one begins a calculation from sunrise, he is calculating from the center of the 24 hour scriptural day. Since Mount Zion is the Scriptural Prime Meridian (center) and the place from which one properly makes these calculations, it becomes clear that at the moment of sunrise (symbolic of the beginning of Yahweh’s rule on earth and the center of the 24 hour day), as seen from Mount Zion, it marks the center of an important boundary. As one looks to the east as far as where the sun is shining, the region of the legal calling and blessing of Yahweh, he finds it extends to the place of sunset and darkness. It is the line of sunset as it falls across the earth’s surface that marks the beginning of the next day, thus the legal stationary boundary for the dateline. Therefore, the dateline is drawn along the line of sunset across the surface of the water, not along some imaginary longitude invented by men. Furthermore, instead of using midnight as the time of a date change, Scriptures uses sunset. Only at the moment when sunset reaches the Scriptural International Dateline does the date on the planet become entirely the same. As sunset moves to the west of the dateline, the new date follows with it. It is interesting that on the day of the vernal equinox, which stands at the center between the winter and summer solstices, the 12-hour period of daytime is most equal with the 12-hour period of nighttime. This detail, in turn, indicates that, at the moment of sunrise from Mount Zion on the day of the vernal equinox, the line of sunset, the Scriptural International Dateline, is approximately 180° from Jerusalem on the opposite side of the earth. This detail conforms with the statement that Jerusalem is the center of nations and Israel is the center of the earth. Yet, this demarcation of sunset does not run along any of the modern longitude lines, which are arbitrary—although on the day of the equinox the scriptural dateline is very near parallel. Rather, it follows the sunset boundary across the surface of the earth which represents a stationary line acting as the Scriptural International Dateline. 1. The “part of” rule (see pp. 6-7 of Rules for the New Moon) would preclude any landmass from being divided by the Scriptural International Dateline. 2. Zion is the point of calculation for a legal day but cannot represent the Scriptural International Dateline due to the “part of” rule. Accordingly, it must be the Scriptural Prime Meridian, the center of the earth and nations, the meridian at zero degree longitude from which east and west are reckoned. 3. Job’s statement, “A statute circumscribes upon the face of the waters as far as the boundary between light beside darkness” indicates that the prescribed “boundary between” the “light beside darkness,” a phrase which itself would refer to an International Dateline along a horizon, must be connected with water and not with land. 4. At the time of sunrise in Jerusalem, the center of the day, the day is exactly one half over—12 hours have passed to the west and 12 hours yet remain from the approaching sunset in the east. This detail corresponds with the scriptural concept that Israel is the center of the earth. It also indicates that, at the time of the vernal equinox, which is also a center point that begins the year, sunset (the beginning of the day) is approximately 180° to both the east and the west. 5. The Scriptural International Dateline is determined at sunrise on Mount Zion and, therefore, is subject to the regulations of the sun. The Scriptural International Dateline, which is marked out by the time of sunrise in Jerusalem, in turn, must be determined by the beginning of the solar cycle of the year. The solar cycle of the year begins at the moment of the vernal equinox. As a result, the vernal equinox is the day by which we measure our limits for the dateline. It is at this precise time of the year that we have the closest to 12 equal hours of daytime and nighttime. In turn, the vernal equinox in connection with the autumnal equinox determine the placement of the festival days within the solar year. In doing so, they set the timing for the first month and the first day of the year. The vernal equinox, therefore, must also be used to determine the Scriptural International Dateline. It is determined this one time for the entire year. 6. By determining the time of sunrise at Jerusalem, the point of calculation, one extends the daytime realm eastward to the point of sunset, the beginning of the next day (date). 7. The legal definition of “from sunrise to sunset” would extend eastward from the Scriptural Prime Meridian at the point of sunrise to the point of sunset, which in turn becomes the Scriptual Antimeridian or Scriptural International Dateline. 8. On the day of the vernal equinox the shadow of sunset encircles the entire planet, enabling us to mark the dateline across the entire globe, from the north axis to the south axis points. As a result, since sunset extends from pole to pole on this day, the dateline can be extended into the Arctic and Antarctic zones. Nevertheless, the Scriptural International Dateline cannot be utilized by observing sunset in the Arctic and Antarctic zones, again due to the “part of” rule, since there is no rising and setting of the sun each 24-hour spin of the earth for 365 days a year. These polar regions, which we refer to as the Arctic and Antarctic zones, include all the area above the arctic and below the antarctic circles. Here one sunrise to sunset or vice versa can last several weeks or months. Since a sunset may not occur for days, these regions are inconsequential to the daily use of a scriptural dateline, although once a line is established it can be utilized in these zones by calcuation, just as one would calculate the hours of a 24-hour day, despite the day and night cycle. 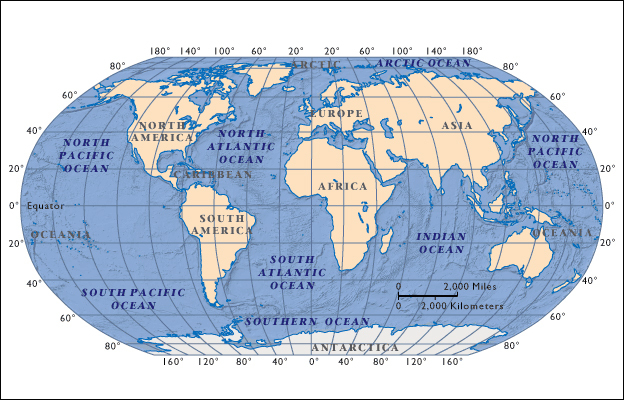 This evidence indicates that the Scriptural International Dateline runs across the horizon of the water and around any landmass which might be divided by it. It follows the line of sunset across the surface of the earth marked at the very moment that sunrise is occurring on the day of the vernal equinox as occurring from Mount Zion. Calculations show that on this day, from year to year, the line of sunset will vary, but only slightly. Also, it should be noted that it would be erratic to change the dateline every year. 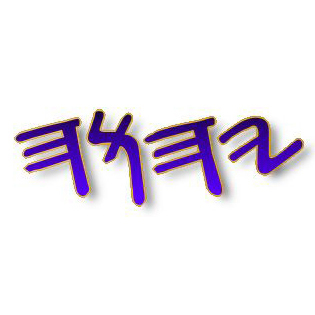 Scriptures make it clear that Yahweh does not change (Mal. 3:6), which implies consistency. Therefore, it becomes obvious that a consistent scriptural theme must be established. Using both the earliest and latest possible times from dawn until the moment of equinox shows that the sunset line varies only about 2° (between 141° W to 143° W) in the north. In addition, the variance is minimized as the line passes through French Polynesia, varying very little through these islands. Following the “part of” rule, the dateline would, by necessity, have to skirt around the western side of Alaska, since the sunset line crosses that landmass. By computing the relevant data and applying scriptural principles, the Scriptural International Dateline would run south from the Arctic zone, through the Bering Strait, passing on the west side of Alaska (at about 142.10°), then though Unimak Pass in the Aleutian island chain, the first major separation in landmass. The islands lying just on the east side of Unimak Island set inside its arm, therefore, are also on the eastern side of the dateline. 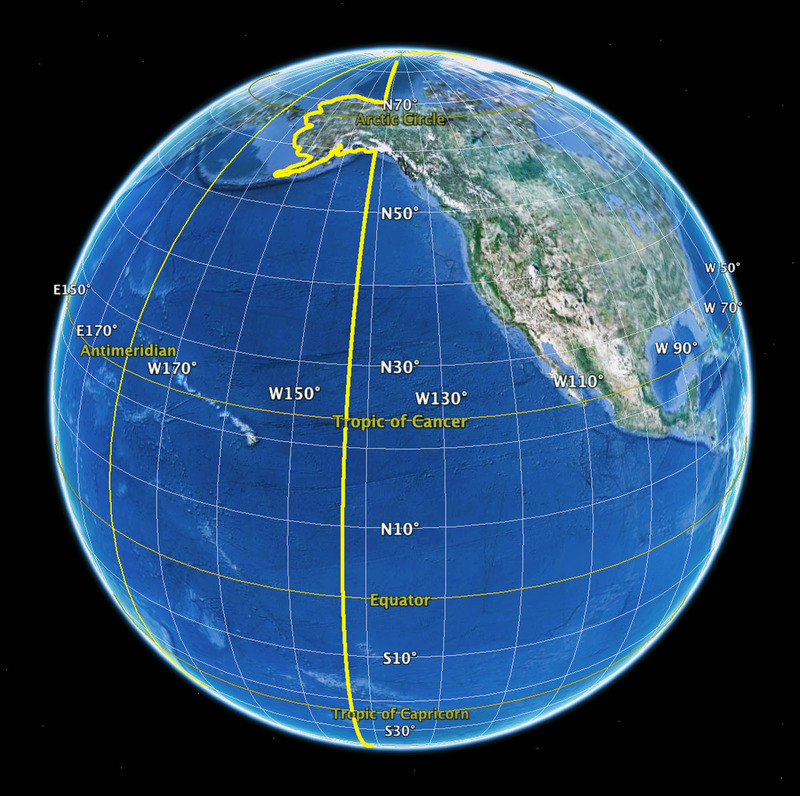 From Unimak Pass the line will go directly east to the sunset line, turn south, and pass along this line through the vast open expanse of the Pacific Ocean east of Hawaii (at about 142.53° W), and then through the South Sea islands (at about 142.58° W) down to the Antarctic zone. In particular, notice that the Hawaiian Islands are located east of the modern Antimeridian but also lie west of the Scriptural International Dateline. In effect, this means that the Sabbath day along with the High Sabbaths would be observed one day earlier in the Hawaiian Islands than mainland U.S.A. and Canada. Others falling into the same circumstance would be the Wallis and Futuna Islands, Samoa, and French Polynesia (Bora Bora, Tahiti, etc.). In other words, if you happen to be sunning yourself at the beach in Waikiki, Hawaii on a Thursday afternoon you had better get ready to observe the Sabbath day at sundown. And you might want to refrain from ordering another Mai Tai! Check out the following graphic to see how the SIDL lays out. We concluded our previous excursion in Part 1 by providing various references proving that Scriptures demonstrate the concept of a round or spherical earth. As we proceed in our quest for discovering the Scriptural International Dateline, in Part 2 we will investigate other sources supporting the idea of a spherical earth. These sources will include ancient and late Jewish views along with references from ancient Greek philosophers and geographers. Also, additional citations from Scriptures will be provided. So you’re enjoying your vacation with the family while sunning yourself on Waikiki Beach in Hawaii with no worries. You’ve made all the preparations for the Sabbath day which begins tomorrow at sundown. As you are sipping on that refreshing Mai Tai suddenly an ugly thought occurs. Because of the location of the Hawaiian Islands in relationship to the International Dateline, could the Sabbath day begin on a different date? If so, would it begin one day earlier or later? One quick solution to the problem would be to quickly order another Mai Tai, down it, and hope that ugly thought disappears. Another solution would be to continue reading as we proceed with our investigation to discover if there really should be any concern regarding the Sabbath day in Hawaii. Assisting us in putting together the various facts pointing to Yahushua’s resurrection on the first day of the week (Sunday) is the important story found in Luke 24. After giving the account of the women coming to the tomb of Yahushua on the first day of the week, just before daybreak, and finding the tomb empty (vs. 1-8), it continues by saying that the women immediately went to the apostles and other disciples to report their findings (vs. 9-10). These people disbelieved the women, but Keph (Peter) rose up and went to the tomb to see for himself. Finding their testimony true, he returned home wondering about what had happened (vs. 11-12). The general position of the many present-day followers of Yahweh is that Yahushua the messiah was resurrected on the seventh day Sabbath. For them, it seems that the idea of the messiah being resurrected on the first day of the week (Sunday), which would also coincide with the Christian holiday of Easter, is just too repugnant to consider. Besides, even the term Christian is offensive to many of these individuals. Throw in the Roman Catholic Church for most of the blame and now you’re really working up a nasty brew! Is there any way to actually determine the exact day of the week that Yahushua the messiah was resurrected on? When the evidence is properly evaluated, this study will provide proof which will demonstrate that the true day of Yahushua’s resurrection is fully attainable. You are currently browsing the archives for the Sabbath category.